BEAUTIFUL CITY WATER/SEWER LOT IN AREA WITH PAVED ROADS. LOTS OF NEW CONSTRUCTION THROUGHOUT THIS NEIGHBORHOOD! THE AREA REQUIRES A 1,600 SQ FT UNDER AIR MINIMUM HOUSE SIZE WHEN BUILDING SO ALL THE NEW HOMES WILL BE A NICE SIZE AND PROTECT YOUR INVESTMENT! THE SMALL DRAINAGE CANAL BEHIND GIVES ADDED PRIVACY! FANTASTIC LOCATION CLOSE TO NUMEROUS SHOPPING AREAS, I-95, SCHOOLS AND PARKS! TAKE A DRIVE BY AND HAVE LOOK! 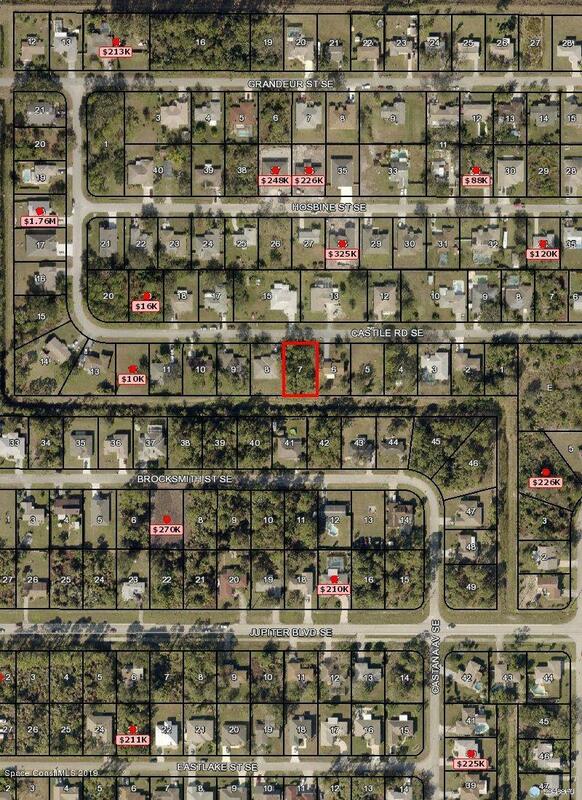 1002 Castile Rd Se is a Vacant Residential in Palm Bay. It sits on 0.23 acres of land.